Do you know you can import photos from iPhone to PC in more than one way? Most of you might know one or two ways but when you hear that you can transfer the photos from iPhone to PC in 5 different ways, don’t you find it interesting and amazing? Well, of course everyone gets excited when they got to know that they have many ways to do the same work. Here, you will get to know 5 ways to import photos from iPhone to PC. Just make sure you read every method and then try the best one for you. iTunes is the Apple official app to helps to transfer photo from iPhone to PC. Almost all the iPhone users have iTunes on their PC. Every times when you sync your iPhone with iTunes, photos on your iPhone will copied to iTunes. Follow the steps to get the transferring job done. 1. First Download iTunes and install it on your PC. 2. Launch iTunes >> Connect you iPhone using USB cable. 3. Click on the device icon (You will find on the top part of the iTunes screen). 4. Click on Back Up Now option (You will find on the right side column of the Summary screen). 5. Click on Down button once the backing up process is complete. 1. First Download iCloud for Windows >> Launch iCloud for Windows on your PC. 2. Click on Options (You can see next to Photos) >> Select he box of iCloud Photo Library. 3. Click Done>> Click Apply. Every new photo that you add to iCloud Photo Library will automatically download to your PC and will be stored to the location you set in iCloud Photos Options but if you want to download the collection by year photos then you can follow these steps. 1. First open File Explorer window >> Click iCloud Photos (You can find under Favorite). 2. Click Download photos and videos >> Choose the photos >> Click Download. If you don’t want to install iCloud for windows on your PC, that’s alright. Though you can downloads the photos from iCloud. Just follow the steps given below to import pictures form iPhone to PC. 1. Go to www.icloud.com website >> Enter you Apple ID and Password. 2. You will see many icons >> Click on Photos icon. 3. You can see all the photos >> Click on Select Photos. 4. Select all the photos >> Click on Download option. 5. Your Photos will be downloaded and stored in Download folder. iTunes and iCloud are two ways to import photos from iPhone to PC but there are some of the drawback of these app due to which it lacks behind compared to others software. In iTunes photos are existed as backup files and they are not readable. iTunes has complex operation due to which users find it hard to locate the options and use it properly. In iCloud also there are some limitation like it gives free storage up to 5GB only and it transfer all the photos at one time. Tenorshare iCareFone is the best alternative of iTunes and iCloud. It doesn’t have any limitation like iTunes or iCloud. You can transfer photos in bulk or selectively as you desire. It is easy to use and it has good interface. It supports iPhone X, iPhone 8/8 Plus, iPhone 7/7 Plus, iPhone 6/6s and other previous models. 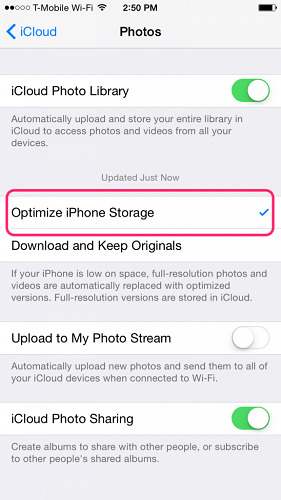 It supports different photos format like HEIC, JPG, PNG and all iOS photo formats. 1. Download Tenorshare iCareFoneand install it to your PC. 2. Connect you iPhone to PC using USB cord. 3. Open the iCareFone software >> you will see screen with your iPhone details and six features. 4. Now click on File Manager (You can see on the first left-top features category). 5. Choose Photos option >> You will be able to see the photos of your iPhone. 6. Choose all the photos and click on Export option (You will see this option on the top left menu bar). 7. Once you click on Export the photos will be stored in your PC. If you have to transfer only small quantities of photos to your PC then using Email can be a fast and good option. 1. Open the Photos app on your iPhone >>Tap Select and choose the photo that you want to send. 2. Tap on share icon >> Select Mail. 3. A new message for email will come >> Send the pictures to your email account >> Tap send. 4. Open the email on your PC >> Download the photos. 1. Download Google Photos app from App storeand install it to your iPhone. 2. Open Google Photo app >> sign-in using Gmail account. 3. Tap menu >> Select Settings >> Back up & Sync>> Tap on ‘ON’. 4. Go to Settings of your iPhone >> Tap Privacy. 5. Photos >> Turn on Google Photos. If you have saved the photos in Google Photos under Wi-Fi then you can download it to your PC using below process. 6. Go to photos.google.com on your PC. 7. Enter your Gmail and Password >> Select the photo you want to download. 8. Click on three dot (That you can see on the top-right side of the screen) >> Click Download. 9. Your photos will be downloaded to the location where you have set. So, these are 5 ways to import photos from iPhone to PC. Hopefully, from now onward you won’t be saying how do I import photos from iPhone to PC. 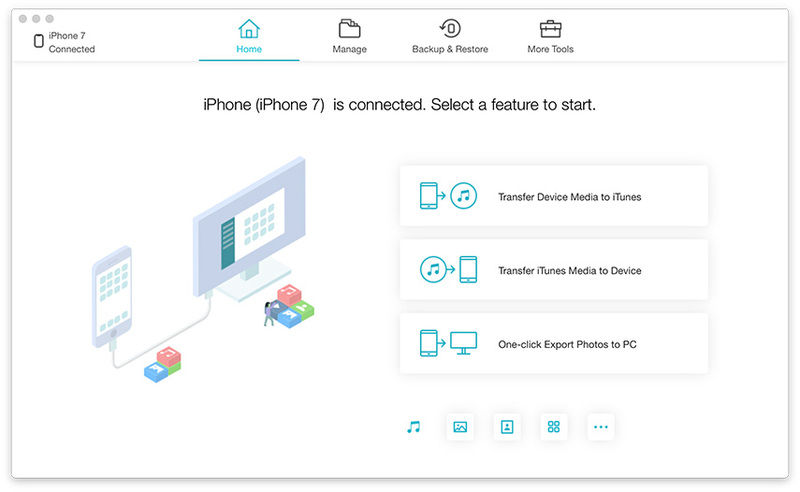 For the best and reliable way, you better go with Tenorshare iCareFone which not only transfer pictures form iPhone to PC or vice-versa but also offers lots of features. Let us know what you think about this product in comment section.